Thoughts on this pouch? Aye or naye? Discussion in 'Alpha One Niner (bags & gear)' started by HELM, Nov 2, 2018. Myrddraal, RED-FIVE and Gary Gross like this. This is one of a few prototypes we playing with. Electro DOPP? Would that be loop velcro on the internal spine between the zippers? I like the dimensions especially the depth.. I'd like to use something like this for organizing battery and charging systems. Mounting a Fenix ARE-X1 single cell charger (backed with hook velcro) for portable charging. Horizontal loop panel (R) Batteries of various size & chemistry. 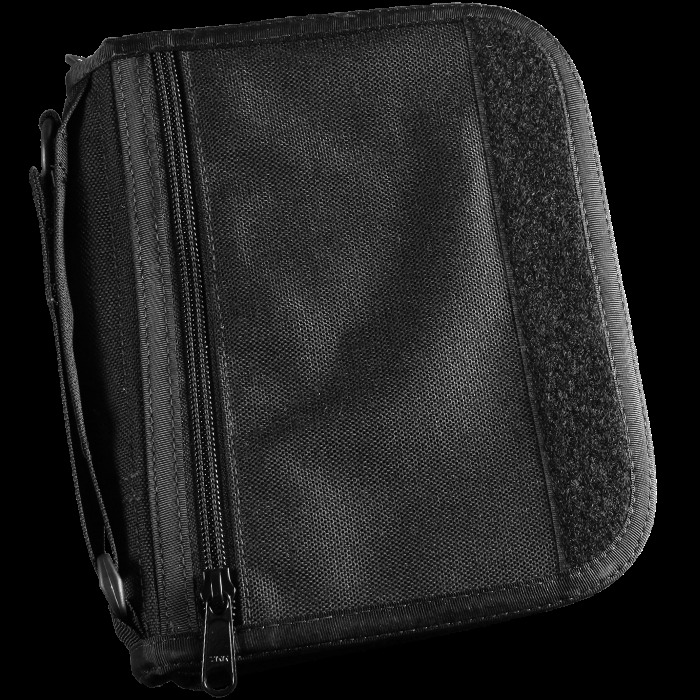 When fully opened and supporting the case in hand with gear that has any weight, it could possibly be useful to have a low profile web handle to slip the supporting hand through. When pouch is being "palmed" by the left hand and contents accessed by the right hand or vice versa. The handle could be positioned on the back spine of the pouch. Something formed from 1" webbing and low profile. This is reminiscent of the what the Rite in the Rain notebook covers feature for their writing systems. Their handle is taken a bit further than a simple 1" web loop. Looks like they are using a "common loop" and a fold over velcro design for adjustability. And possibly a d-ring at the other end. Size sounds about perfect to me. I’m in! Looks like a 'tactical notebook cover', but less geared towards mil/tac use. If you make one that can fit a 8x11 standard notebook and costs less than 70$ I'd be very interested. I too would love to see a handle on the spine. I'm not found of the camo and would love to see some basic colors. Solid colors....and most deff in DRB! "I too would love to see a handle on the spine. I'm not found of the camo and would love to see some basic colors." ... Agreed! Kid sitting next to me says "You in the military?" ... Me: "Used to be"..... Kid: "What'd you do?" ..... Girl from across the classroom: "KILL IRAQI CHILDREN FOR OIL!" So... Solid colors would be a cool option to have lol. RED-FIVE and swedishelite22 like this. Looks like it's on his radar... TNC/RITR styled cover. Would also like the full size ver. too. It would be cool to revive it.... while we wait for the EV2's release? Even though Helm and Co.'s production is slammed at the moment.......when the dust settles a bit, the feedback could prove useful when they cycle back around. Might be interesting. Come on in and share! Zero class, going no where fast! On the other hand... Thank you sir for your service!! Glad to be on here among real humans! I'm not a fan of using elastic straps for these soft shelled organizers. Sooooooooo many companies are making them already, and personally I find them inconvenient. if you don't have the right sized item it will slip out, and smaller items dint fit good. 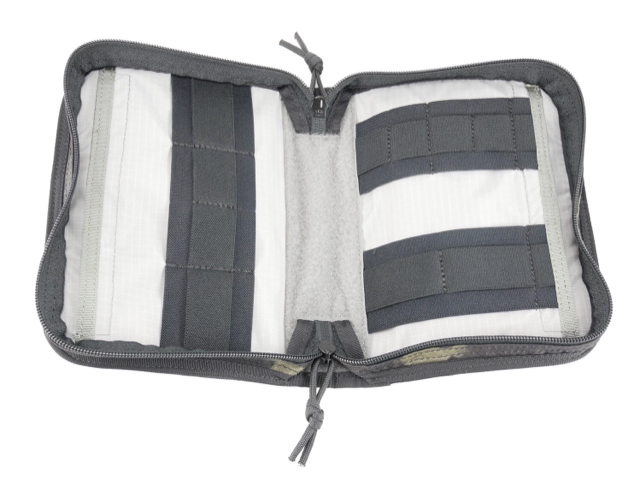 I like organizers that just use zippered mesh pockets , like what you have on the outside of that, on the inside. 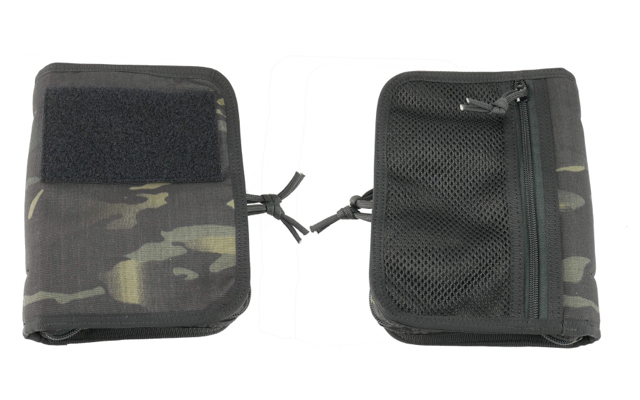 The Goruck Mini Wire Dopp is a good example, and people were pretty upset when it was discontinued.